Carina Minar-Holzapfel is an educator for psychomotorics and speech development and lives with her family in Vienna. In the beginning of 2015 she became involved with trailing at Georgia K9 Austria (www.rettungshunde.at). She is a founder and vice-president of the Search and Rescue organisation “Such und Rettungshunde Team Austria” and since 2016 a trailing trainer for S&R Team Austria as well as Dogs@Work – GAK9 Austria. She teaches trailing to SAR and sport handlers, together with GAK9 Military Trainer Christoph Rosenberger. 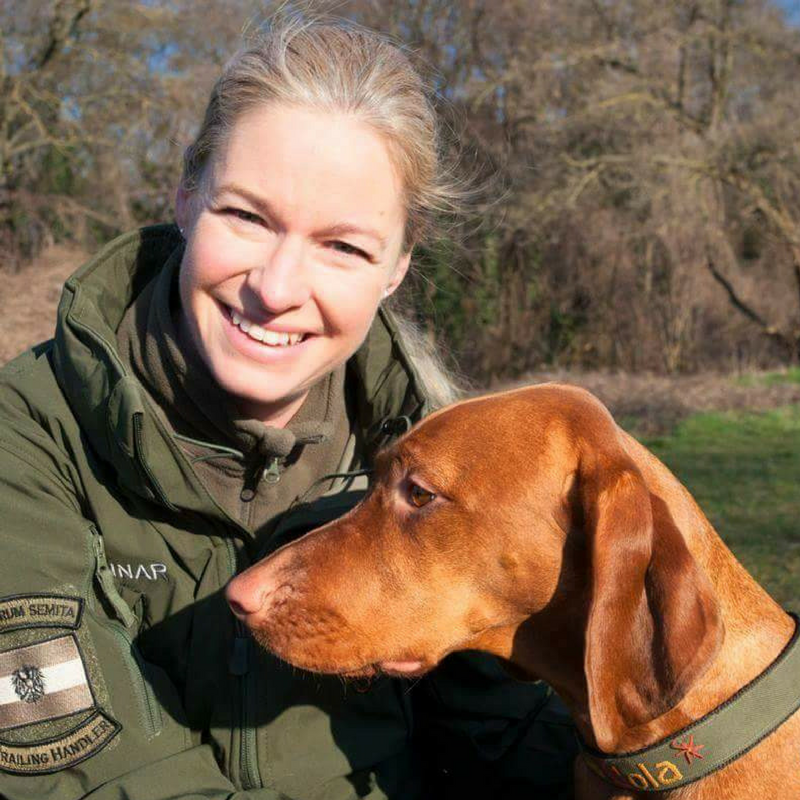 Carina also works with her Hungarian Pointer (Magyar Vizsla) Lola as an active SAR-K9 handler.